Gamers and action fans of all types will dive straight into the MEEP, a virtual-reality gaming world, thanks to Julia Durango's cinematic storytelling. 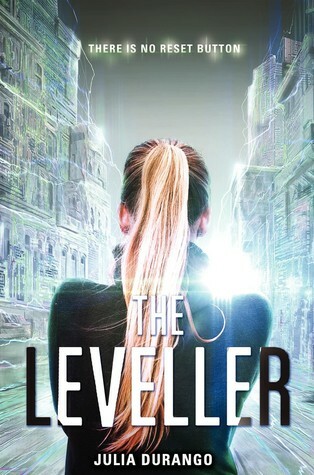 A touch of romance, constant twists, and a vivid, multidimensional journey through a tricked-out virtual city will keep readers flying through to the breathtaking end. Nixy Bauer is used to her classmates being very, very unhappy to see her. After all, she's a bounty hunter in a virtual-reality gaming world—and she's frequently hired by irritated parents to pull kids out of the mazelike MEEP universe. But when the game's billionaire developer loses track of his own son in the MEEP, Nixy is in for the biggest challenge of her bounty-hunting career. Wyn Salvador isn't some lazy kid looking to escape his homework: Wyn does not want to be found. And he's left behind a suicide note. Nixy takes the job but quickly discovers that Wyn's not hiding—he's being held inside the game against his will. But who is holding him captive, and why? Nixy and Wyn attempt to fight their way out of a mind game unlike any they've encountered, and the battle brings them closer than either could have imagined. But when the whole world is virtual, how can Nixy possibly know if her feelings are real? Typical Coop, I think, closing my eyes and sinking into the MEEP. This'll be the sixth time in six months that Mrs. Cuparino has hired me to drag her sorry son home. "Abigail was the name of Diego's late wife," Dad explains. "Abigail Brooks. She was a world-class pianist. Passed away a few years ago." I've been looking at this - it sounds great! I haven't read any virtual gaming related books but I'm a computer engineering student and this sounds like something I'll understand and like! Thanks for sharing and for stopping by earlier. This sounds like a great premise! It reminds me of the old sci-fi movie "Tron." I think I'd enjoy this book (and so would my husband). I think I saw this one being mentioned recently, but this is the first time I'm really stopping to look at it. I agree with Sandra, it does remind me of Tron. I have this one on my TBR and it sounds so interesting. The synopsis of the book sounds great. I think I will look for it for my library.